Power of the Pen is an annual writing contest offered in partnership with The Hamilton Spectator. Teens are invited to submit original poetry and short stories. Please review the Contest Rules. Contest closes on Monday, September 30, 2019. *One entry form per submission. 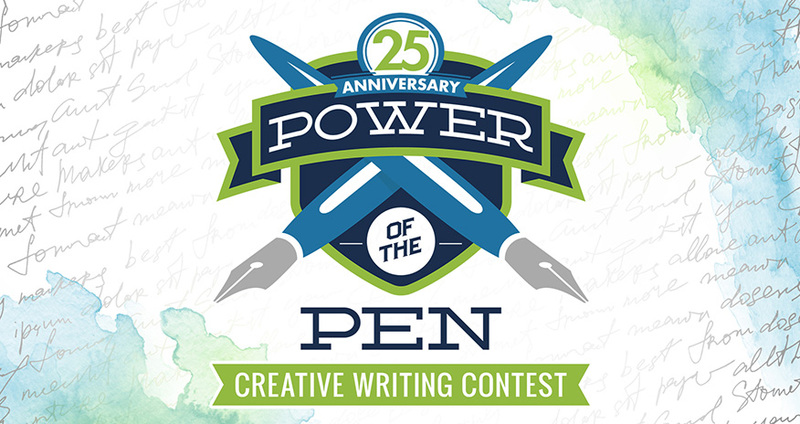 Thank you for submitting your work to the Power of the Pen Creative Writing Contest. Winners will be notified in December. All judged submissions will be available for pick-up at the awards ceremony or during the month of January at the Central Library. *Publicity can include print materials such as posters, brochures, etc…, local and social media, in addition to online sites such as www.hpl.ca or www.thespec.com. A printable version of the contest form is available here. NOTE: Please do not put your name anywhere on your work. Your name must be on your entry form only.